This notion was featured on our Facebook page and received Ohhs and Ahhs! Hang It, Dang It Quilt Hanger. Click here to view the sell sheet. *Self-leveling *No tools required *Will not damage any quilt. *Change to a different size quilt in seconds. *One person can hang any size quilt by themselves! 4 easy steps to hang your quilt! 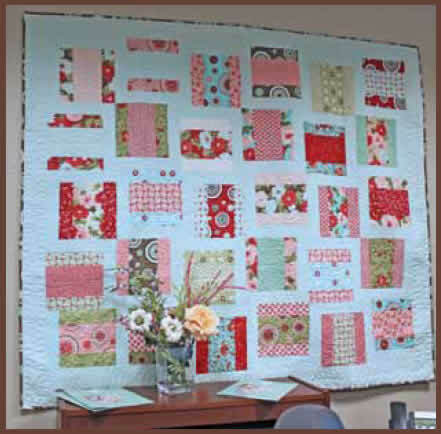 This is the must have gift for all quilters! You will not be able to buy just one! Can’t wait to try the dang thing!